We need a logo for business cards and other marketing products. We want the letter "S" as the dominant graphic. That being said, we are totally open to any design ideas & colors an artist might submit. We do not like the ordinary construction type graphics for logos. Can't be too "busy" and it needs to be readable. 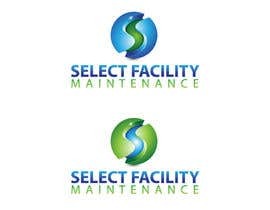 The company provides commercial janitorial services along with single services such as pavement striping, power washing, .... etc..
Company name = Select Facility Maintenance. colors like the Houston Texans Deep Steel Blue and Battle Red, Blues and greens are good too. Located in the Houston, Texas area and owned by two women and one man. Hi, I change colors according to your needs.